The original Drag Racers window marker! 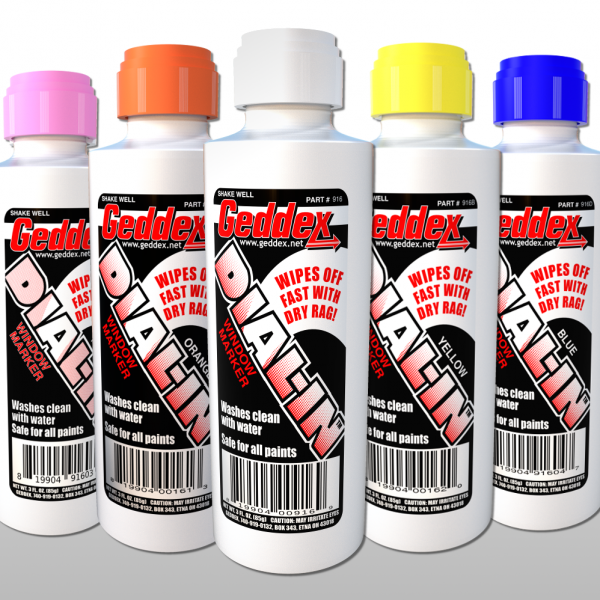 Dial-In is specially formulated for easy-on easy-off changes between rounds. 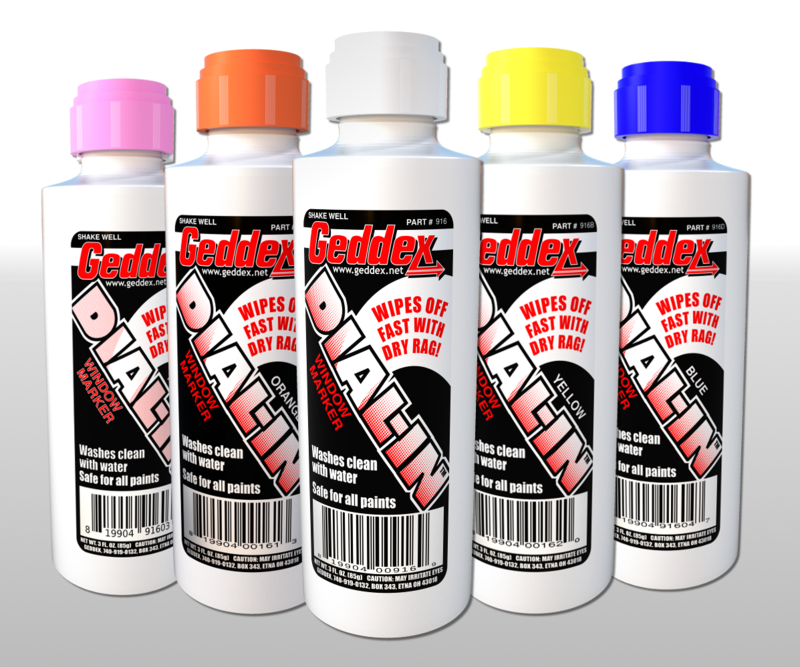 Dial-InTM dries bright and wipes off easily with a dry rag or your hand. Lexan® is safe too, because Dial-In won’t stain. Use it on any painted surface or even on tires.